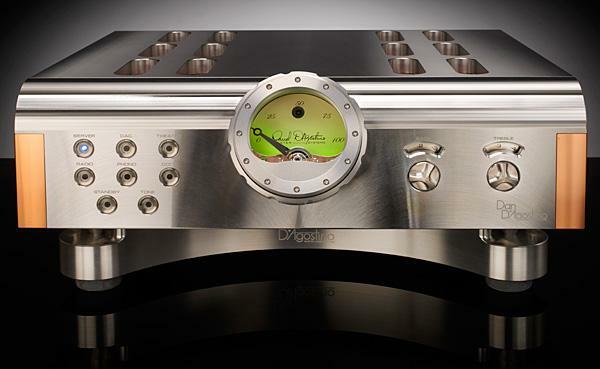 The KSL ($1800, $2100 with phono section) is a one-box line controller/preamplifier, just 2.25" high, with a nominal voltage gain of 10dB, or 3x. 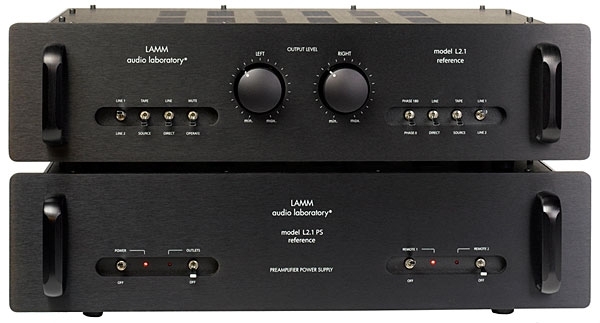 Despite its moderate price, the KSL is distinguished by having balanced outputs (via industry-standard XLR connectors), as well as two balanced inputs. 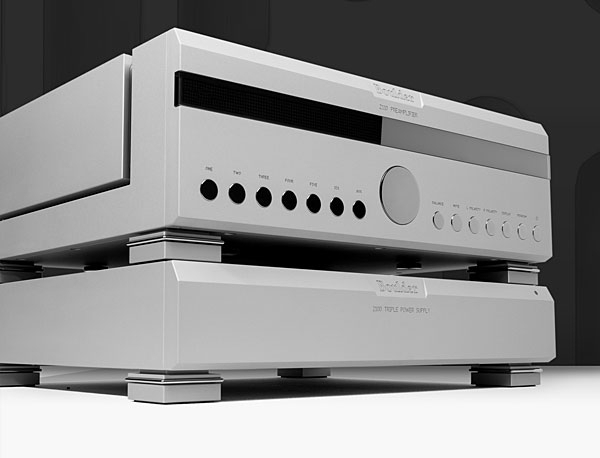 Conventional single-ended, unbalanced outputs are also available via a pair of gold-plated phono sockets. Two unbalanced inputs are provided, plus a third via the tape monitor switch.